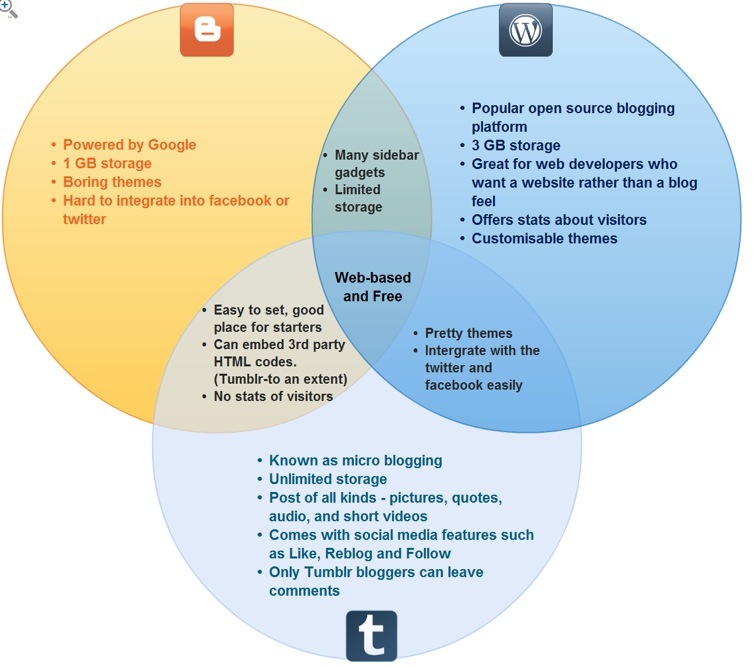 A Venn diagram is a visual organizer used to compare and contrast concrete concepts. Venn Diagrams are made up of two or more overlapping circles. The circles show relationships between concrete concepts and allow learners to visually organize similarities and differences between the physical characteristics of the concepts. Circles in a Venn diagram can overlap partially, overlap completely, or even be totally separate — letting the viewer see the relationship between the groups at a glance. On completion of the Venn diagram, students place an image or .pdf in a forum and share their thinking and ideas, encouraging discussion and reflection from fellow students.